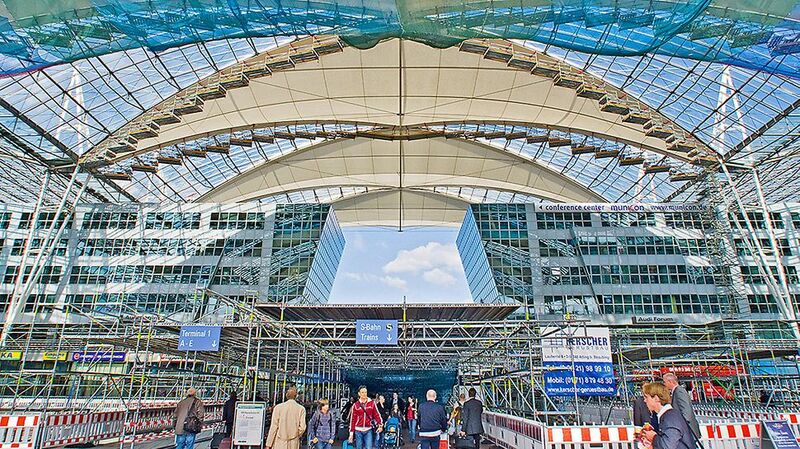 Refurbishment of the forum roof with safe and smooth exchange of the seven Teflon-coated glass-fibre membranes at a height of 40 m while the airport remains open. Highest level of safety for passers-by due to safety nets and protective roof construction. Working levels and protective roof with closed deck structure without gap, so no additional doubling and lock against lifting required. 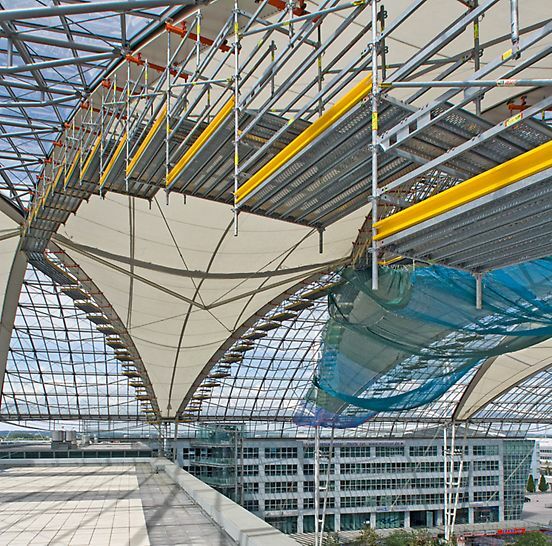 The scaffolding construction is fixed to the diamond-shaped roof fields using a suspension device specially developed by PERI for the purpose. 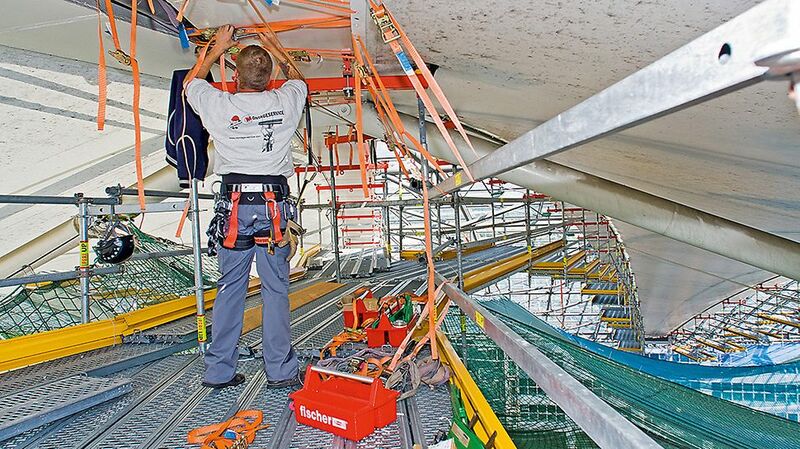 The fitters used the 1.50-m-wide scaffolding platforms as a safe working platform and walkway – always following the line of the roof with an ideal working height of approx. 2 m. Additional stair access and large protective roof construction with up to 6 m of clear passage.